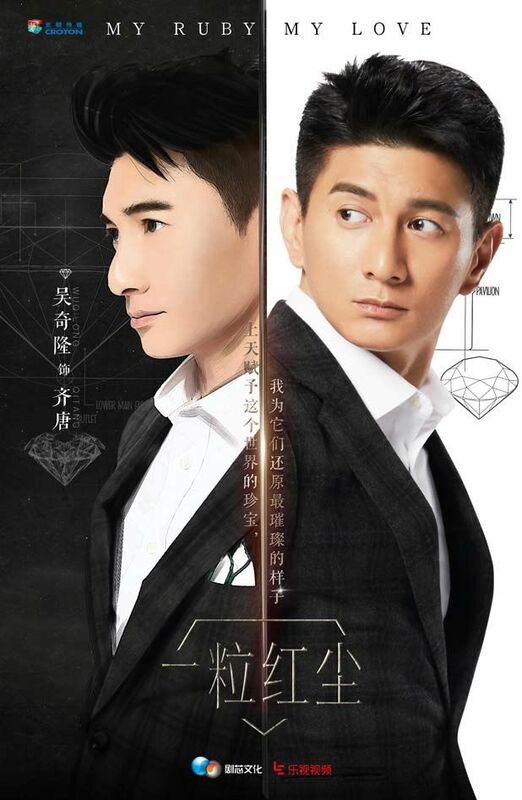 =======> ♦ Nicky Wu and Ying Er‘s drama, My Ruby My Blood, drops some posters. Nothing extraordinary but Nicky looks might spiffy and handsome! 10th bro follows 4th brother everywhere. Lol. 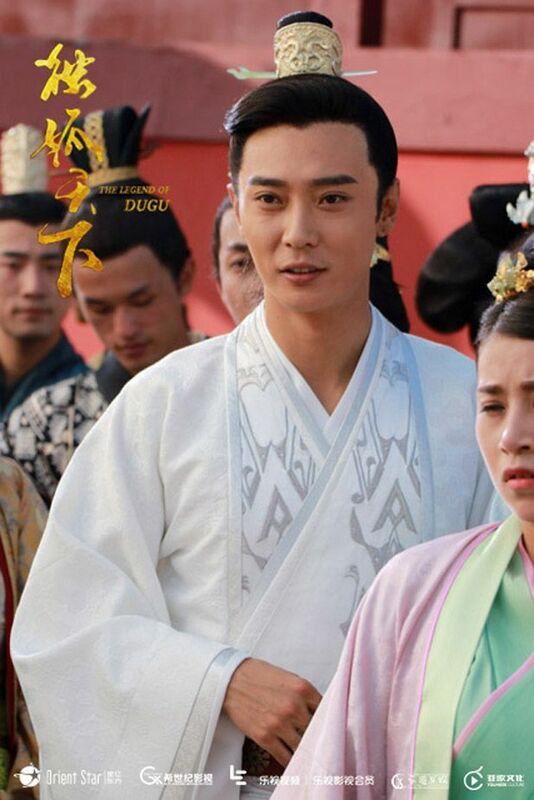 =======> ♦ Zhang Dan Feng and Hu Bing Qing look lovely in the new stills for The Legend of Dugu. 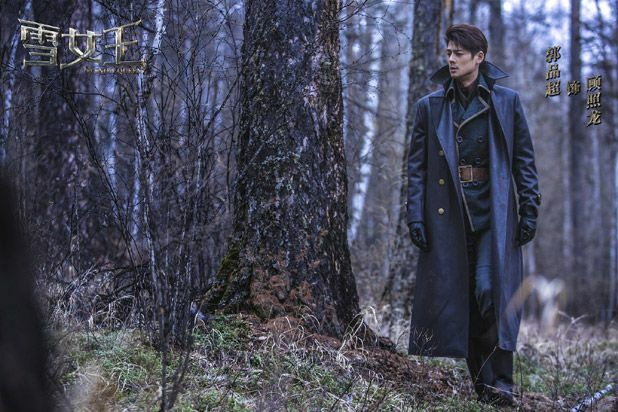 =======> ♦ The Snow Queen (雪女王) with Dylan Kuo, Re Yi Zha, Kimi Qiao, and Jiro Wang. New stills. To be released in 2017. 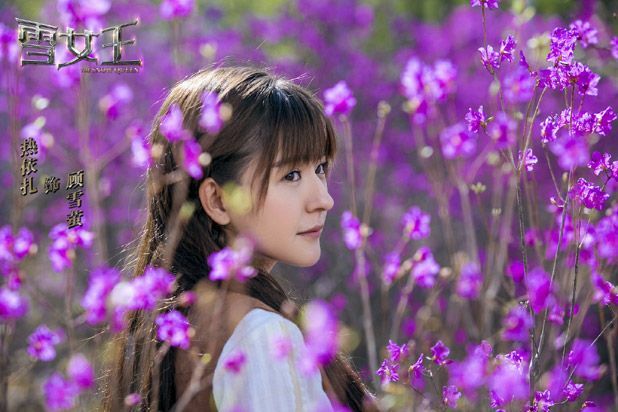 =======> ♦ The Legend of Ace with Gina Jin, Michael Chen, and Zheng Yin. Premieres on 11/28/16. New Trailer! =======> ♦ New promos for Godfrey Gao and Wang Shui Lin‘s comedy, Min & Max. Can they please date? PLEASE? Out in theaters 11/25/16. 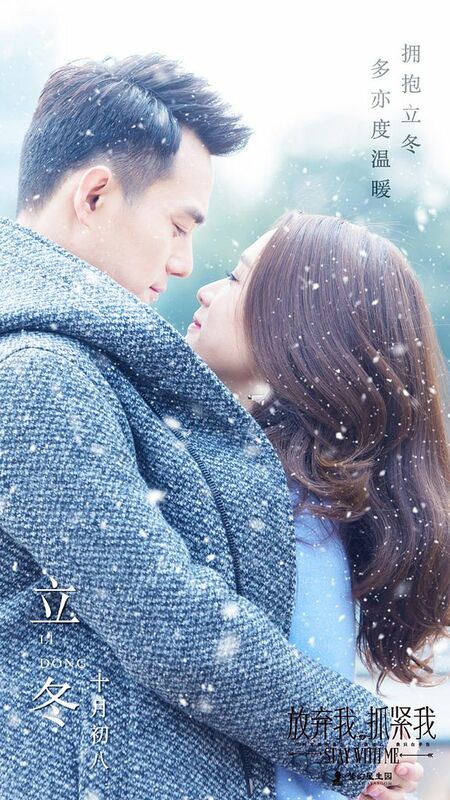 =======> ♦ New trailer and promos for Nick Wang and Chen Qiao En‘s Stay With Me. Moved up in date, premiering on 12/11/16. I won’t say what will now be a needle to the heart. =======> ♦ Movie The Great Wall released a song from its soundtrack. 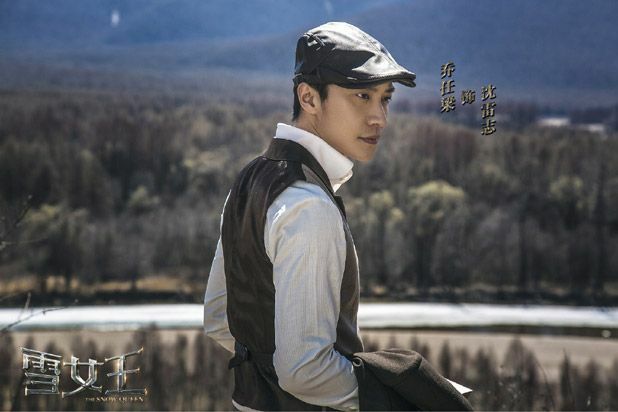 “Bridge of Fate” – Wang Lee Hom & Tan Wei Wei. I really like this song. =======> ♦ First trailer for Huang Zi Tao‘s drama, Chinese Odyssey: Love of Eternity (大话西游之爱你一万年). 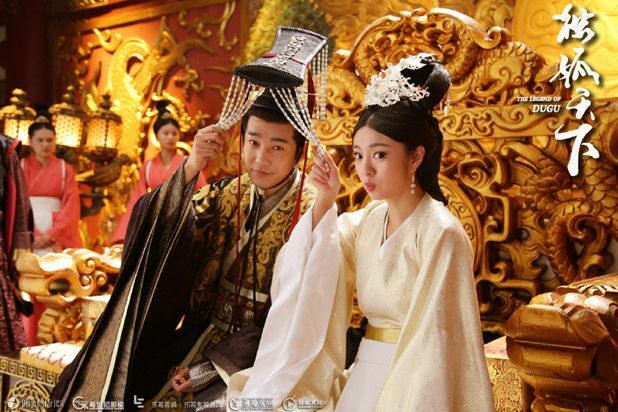 =======> ♦ BTS and New trailers for Lego Li‘s The King of Romance (如朕親臨). 2 more weeks! Lego will be singing one of the songs! 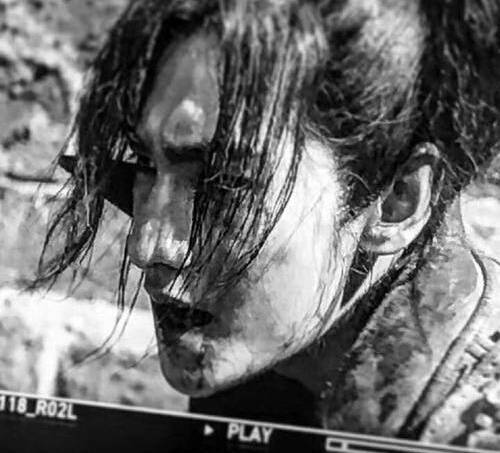 =======> ♦ Sneak Peek of Yang Yang in Martial Universe. I’m nodding approval to the hair! =======> ♦ Jackie Chan, among other winners, won the Academy’s Honorary Awards! His speech below. Remember his fans and supporters in the last minute. Hehe. =======> ♦ English-subbed trailer for the reunion movie, See You Tomorrow, between Tony Leung and Takeshi Kaneshiro. 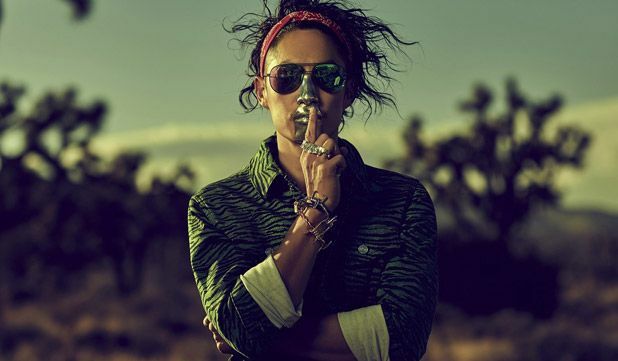 =======> ♦ Beside sporting tight braids for his currently airing drama, Princess Wei Young, Vanness Wu will return to the music scene, dropping an album on December 8th. His hair? Check for yourself. Lol…..LOL!! =======> ♦ Fans captured William Chan being considerate, putting his hand out to prevent the girl from hitting her head. Aww. His birthday is today (11/21) and he had a concert celebrating it. He cried real hard and a comment cracks me up (“if only he emotes this much in characters!“) Dilraba came to support backstage and fans were wondering whether they are secretly in love. Immediately, both sides spoke up about being only friends. Lol. 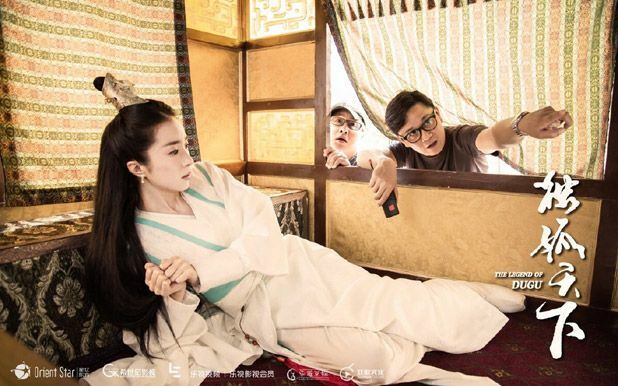 =======> ♦ Huang Zi Tao and Yang Mi begin filming for The Interpreter 2 this weekend. Booting and dinner party. 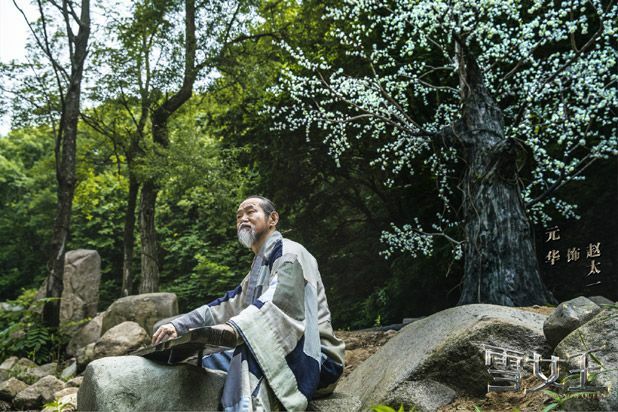 =======> ♦ Another Ding Mo‘s novel, Xiao Chong (枭宠), has been bought to be adapted. 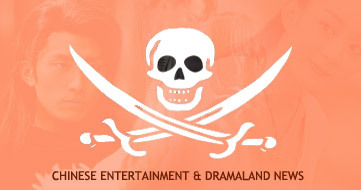 Same production team as Martial Universe. Let’s hope they handle the casting better this time around! 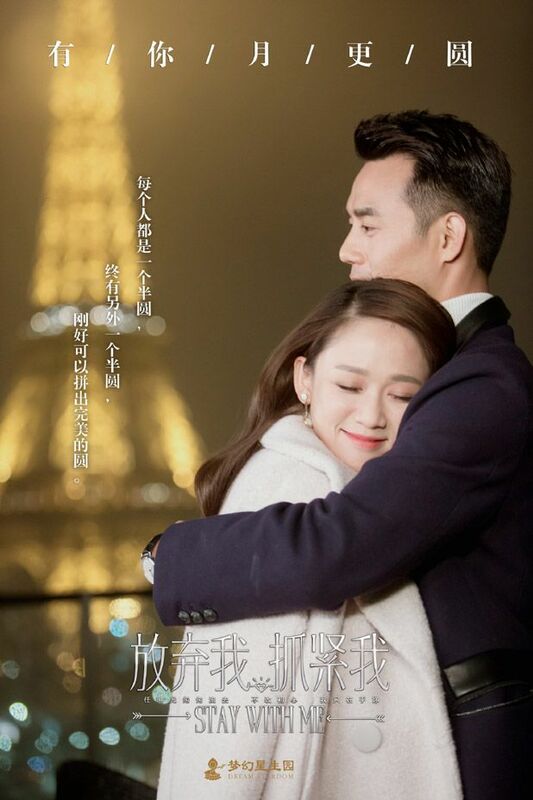 =======> ♦ Drama adaptation of Paris Not In A Good Mood (如果巴黎不快乐) has Zhang Han‘s name most likely as lead. 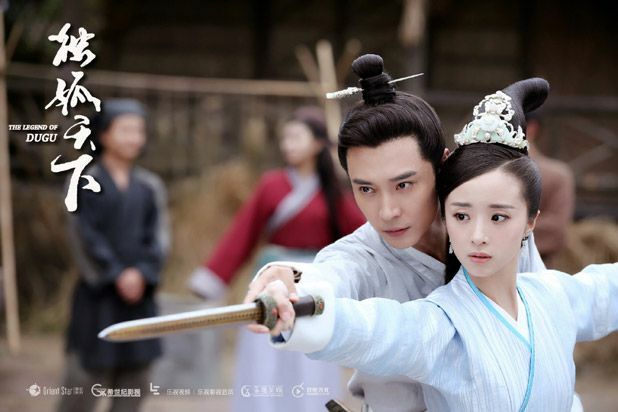 His girlfriend, Guli Nazha, is rumored to be the female lead. 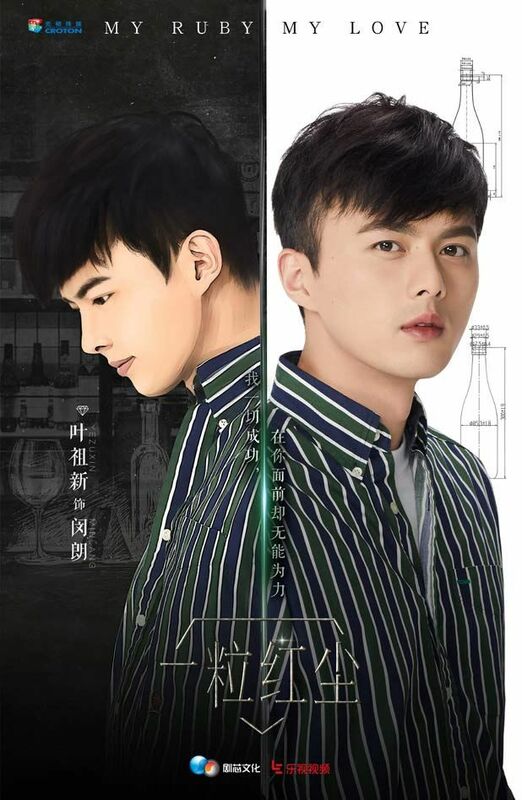 =======> ♦ Movie remake of Eight Hundred Heroes (八百壯士) has a casting in Li Yi Feng, Ethan Ruan, and Jackson Yi. Filming to begin in January 2017. 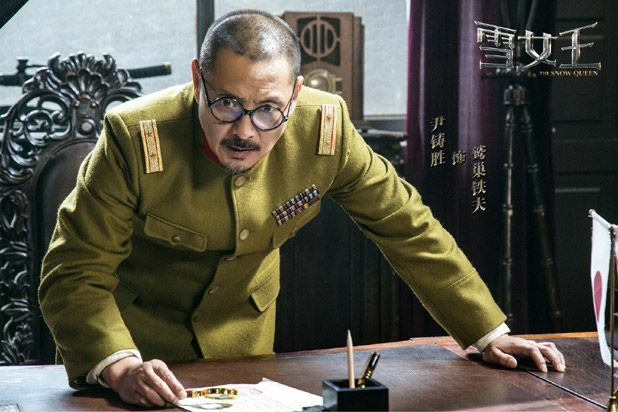 It’s another movie directed by Guan Hu (Mr. Six). Highly possible. 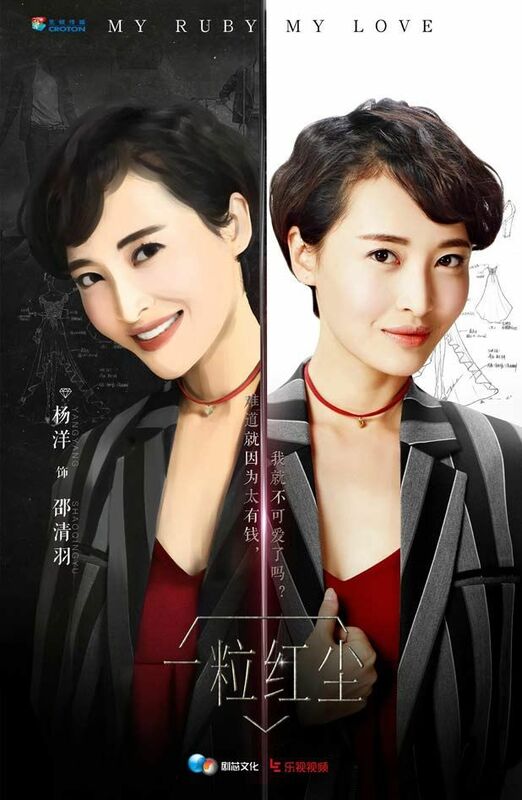 =======> ♦ Seven Tan Song Yun‘s next drama, temporarily named Specialized Artist (特化师) pairs her up with Andy Zhang Dan Feng. Lol. He’s courting all the young actresses! Filming begins next week. 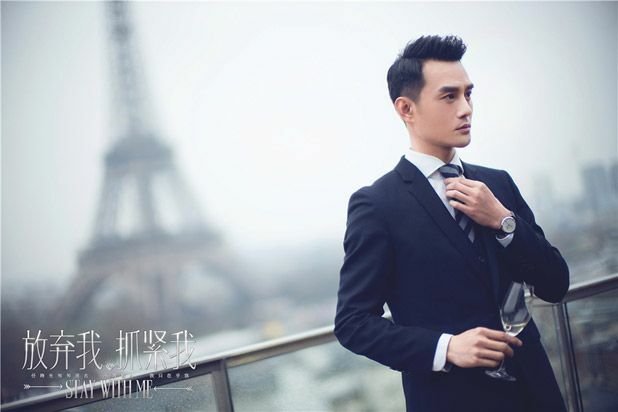 =======> ♦ Janice Wu‘s modern fashion drama, temporarily called The World Does Not See Face (这个世界不看脸), has cast Edward Zhang Lu Yi (Sparrow) as the male lead. Aiya, Edward is only 36 but he looks way older than Janice (24). 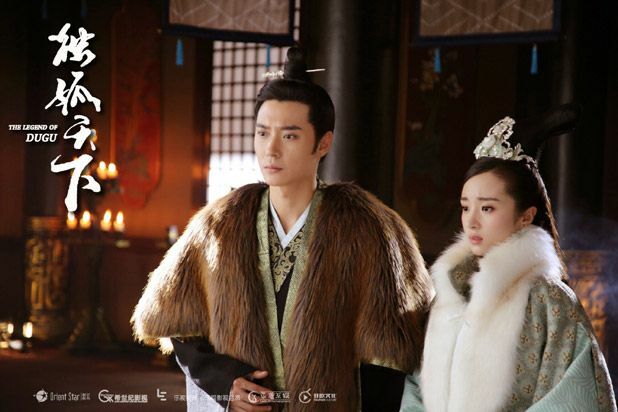 Scriptwriter is Wang Yun, same person behind Zhao Li Ying’s Best Get Going. Filming also begins next week. 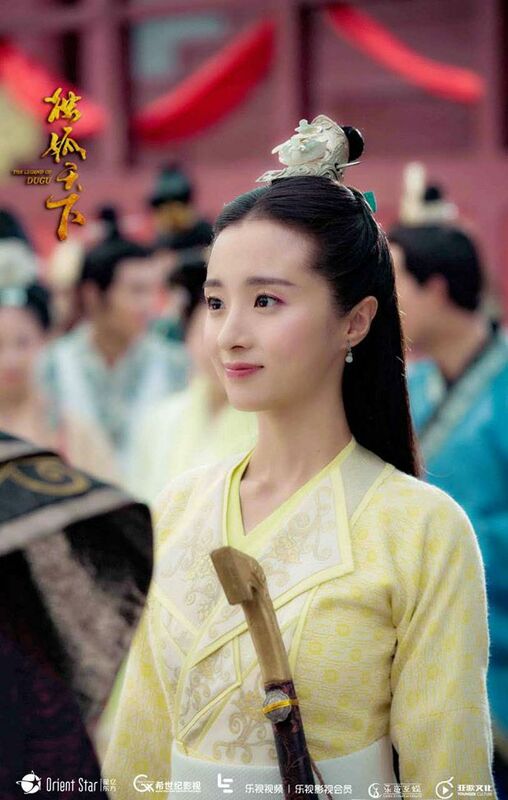 =======> ♦ Zhao Li Ying’s news corner: During the week, there was a new scandal with our girl being married. Lol. She is not married, folks. It’s a photo one of the actors took with Li Ying in 2011 when she filmed 极品男女日记 and then posted on weibo, saying that he married her. 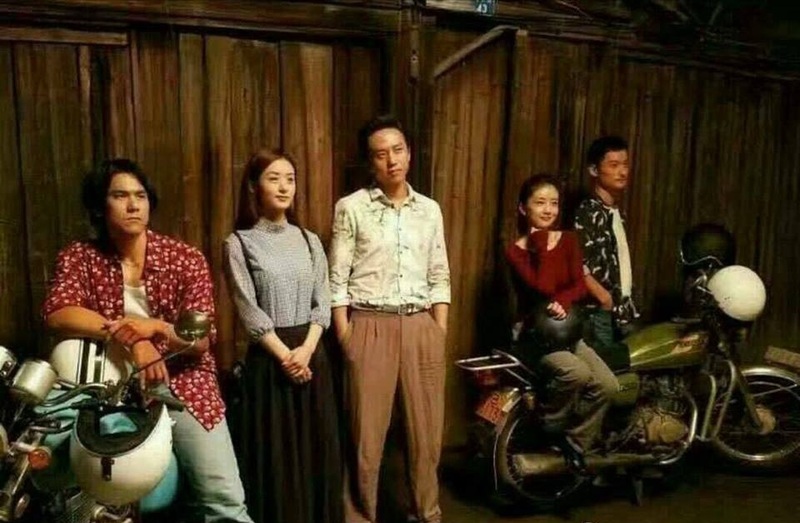 She already started filming Ride the Winds Break The Waves with Eddie and Deng Chao. Sneak Peek of the whole cast. Eddie’s split hair. Sigh. He was so fresh and young in the poster. Lol! Zhao Li Ying becomes Vice President for Yixia Technology, mother company of Miaopai, Xiaokaxiu, and Yizhibo. Jia Nai Liang is the Creative Officer of Yizhibo. 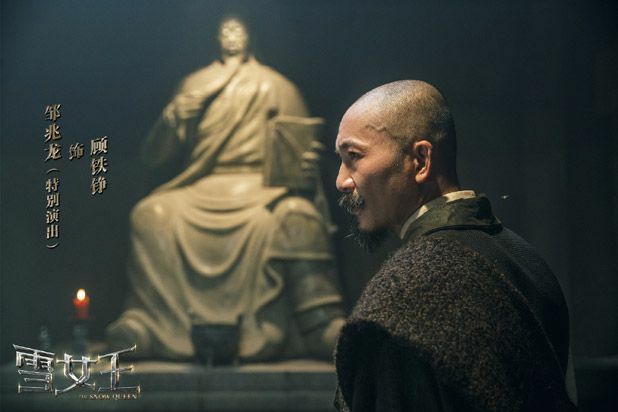 This entry was posted in Entertainment News, Trailers Galore and tagged A Chinese Odyssey: Love of Eternity (大话西游之爱你一万年), Andrew Zheng Yin, Beauty From Heart (这个世界不看脸), Boy Hood (我们的少年时代), CMovie, Cpop, Deng Chao, Duckweed (Ride the Winds Break the Waves), Dylan Kuo, Eddie Peng, Edward Zhang Lu Yi, Eight Hundred Heroes, Ethan Ruan, Face Off (特化师), Gina Jin, Godfrey Gao, Hu Bing Qing, Huang Zi Tao, Jackie Chan, Janice Wu Qian, Jiang Jin Fu, Jiro Wang, Joe Chen Qiao En, Kimi Qiao Ren Liang, Legend of Ace, Lego Li, Leo Luo Yun Xi, Li Yi Feng, Liu Tao, Martial Universe (武动乾坤 Wu Dong Qian Kun), Michael Chen, Min & Max, My Ruby My Blood (一粒红尘), Negotiator (The Interpreter 2 谈判官), Nick Wang Kai, Nicky Wu, Paris Is Not In A Good Mood (如若巴黎不快乐), Ping Li Hu (屏里狐), See You Tomorrow (The Ferryman), Seven Tan Song Yun, Stay With Me, Takeshi Kaneshiro, TFBOYS, The Great Wall, The King of Romance, The Legend of Dugu (独孤天下), The Snow Queen, Tony Leung Chiu Wai, Twdrama, TwPop, Vanness Wu, Wang Shui Lin, Wang Zi Wen, Webdrama, William Chan, Xiao Chong (枭宠), Yang Mi, Yang Yang, Ye Zu Xin, Ying Er, Zanilia Zhao Li Ying, Zhang Dan Feng, Zhang Han by Kappy. Bookmark the permalink. 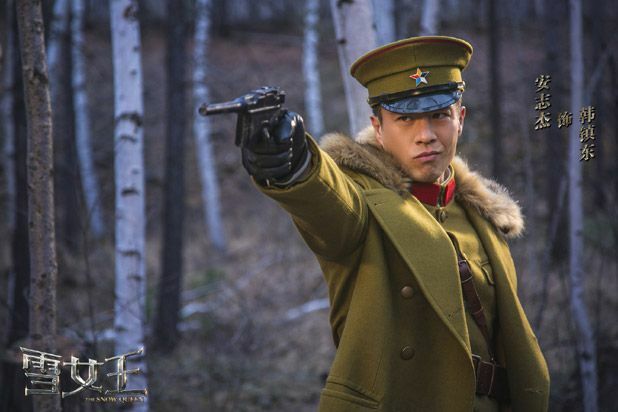 It’s a bit bittersweet to see the stills of Kimi Qiao :(. Thank you for all the news. My heart hurts too, especially when I see the number of dramas he’s in that hasn’t aired…. Wow, they really are trying to make lots of money off Ding Mo’s books lol. I read 枭宠 and it’s one of her sci-fi books. It will be very interesting to see how they will create that universe. The male lead has two identities and he hides it very well–hope they will find a suitable actor who can carry this role. Same goes for the female lead–no double identities but she learns to become a very kickass woman. I haven’t been able to watch anything with Kimi in it. Maybe in a few more months. Li Ying is looking very sharp in the last couple of photos. Ding Mo is raking! Seems like you’ve read every DM’s novel out there. Lol. I actually went to count how many I’ve read. Just 9. LOL. you should tell us all about them! No doubt they will continue to be adapted. You already know three of them: Love Me if You Dare, Snail, and Memory Lost. 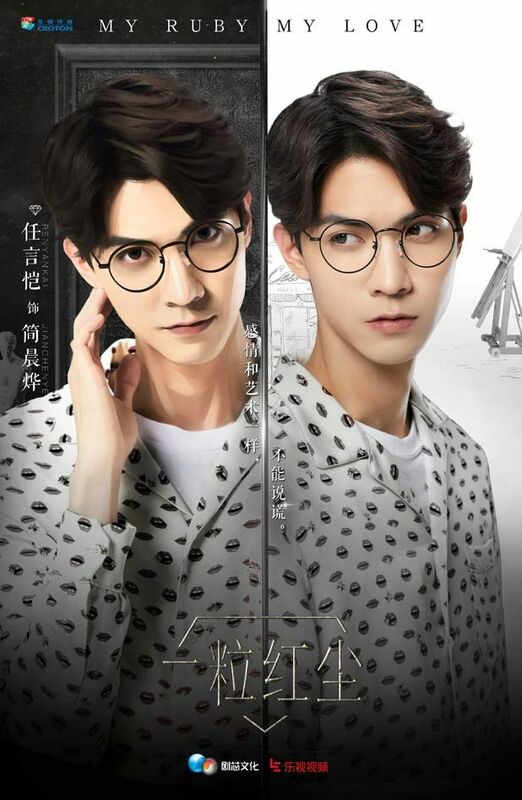 There’s also the one that Hu Ge was caught reading one day and everyone thought he’d join that series: Our Glamorous Time. This is one of my favorite modern novels because the girl can stand on her own two feet and run a business. Then there’s the one that Kappy mentioned in an earlier news batch that has Wang Kai as the rumored male lead. That one is about the Our Glamorous Time’s female lead’s older brother. A very weak plot and characterization so I’d rather not see this adaptation unless they change it for th ebetter. Her sci-fi books are very heavy. There are complex universes in each one and they’re all very interesting, but I don’t think they’d translate well into moving pictures. wow 9 is a big number. Out of that 9 what are ur top 3, may i ask? I read Our glamorous time until where they stopped trranslating. havnt gone to google translate to read the remainder. Most of the times i prefer novel thn the drama/movie adaptation. Sometimes its nice to spot the changes made. But like you said certain things dont translate well in moving pics. These three in no particular order: Our Glamorous Time, Snail, and 枭宠. I really don’t know how to translate the last title into English. Basically a mixture of modern, mystery and sci-fi. It seems like Ding Mo’s books have garnered a lot of interest so they’re doing adaptations, but it’s just not the same as reading her books. If only she could write the scripts herself. Was 枭宠 that one novel with 90 plus chapters and the ten epilogues? I’ve haven’t touch Ding Mo’s sci fi novels because they are pretty long (haven’t touch her ancient novels either). 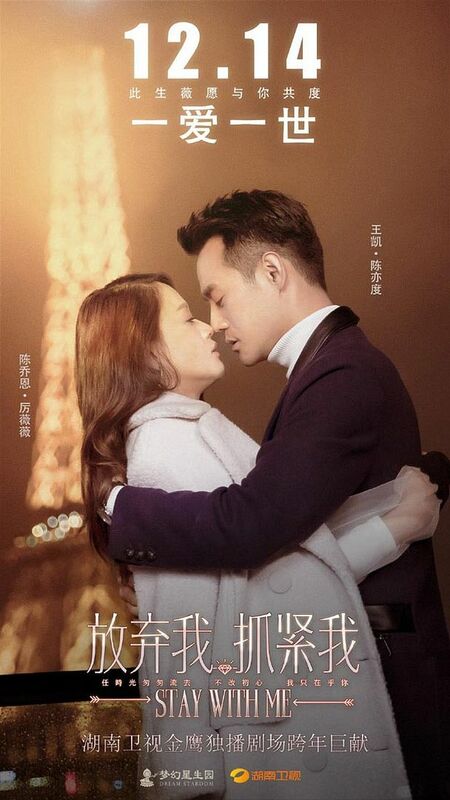 I agree Our Glamorous Time is the better novel than Don’t Turn from Summer (I’m using ShuSheng Bar’s title translation) because the older brother’s character was so-so in my opinion. If WK is ever associate with DM’s novels again he can cameo as the older brother lol and reunite with Hu Ge for that drama adaptation. Yes it is! A lot of her books have epilogues but I think this one tops the cake. I read one of her ancient novels and it was so-so. I don’t think this genre is her forte. The male lead in Don’t Turn From Summer was more interesting in Our Glamourous Time than he was in his own story. I can’t really see Wang Kai in that role but I’d love to see a WK and HG reunion! Thanks so much for the info. Actually i also know reading the translation is also a poorer grade than ori cause some things are lost in translation. I seldom read historical ones- cause after the translation poems and idioms kinda feels odd. 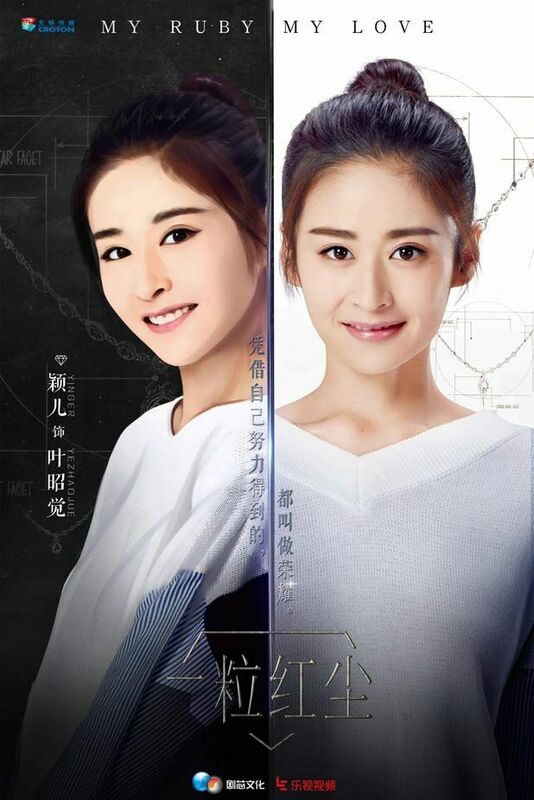 The girl in Min&Max reminds me SO much of Yang Zi. 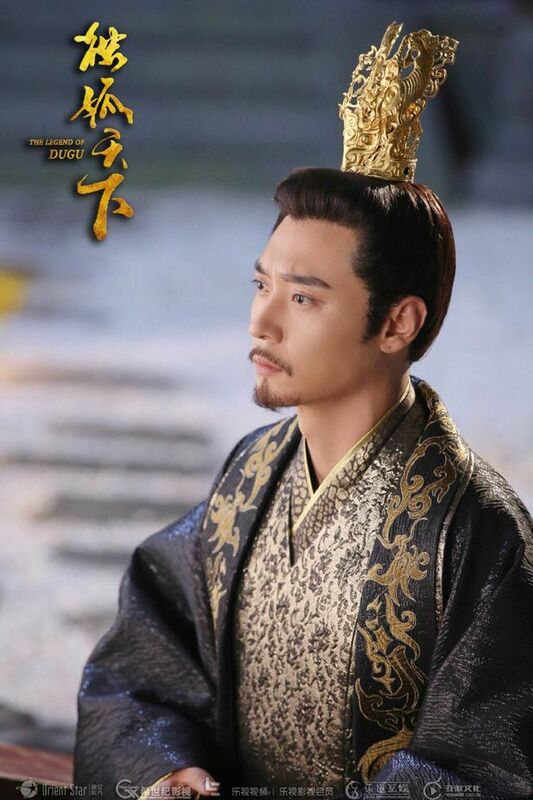 Maybe not all in objective facial features, but just the whole feeling reminds me of Yang Zi. 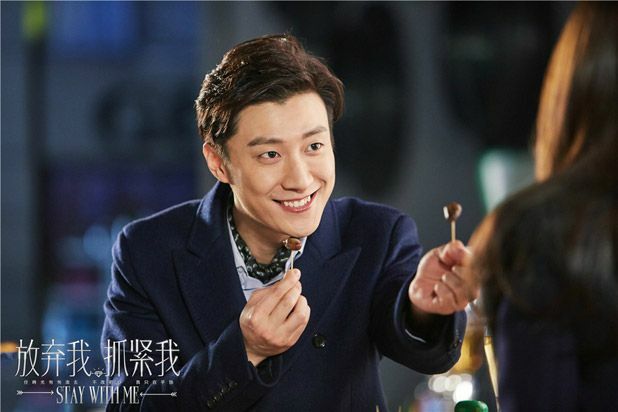 Heh Wang Zi Wen looks adorable in that pic. 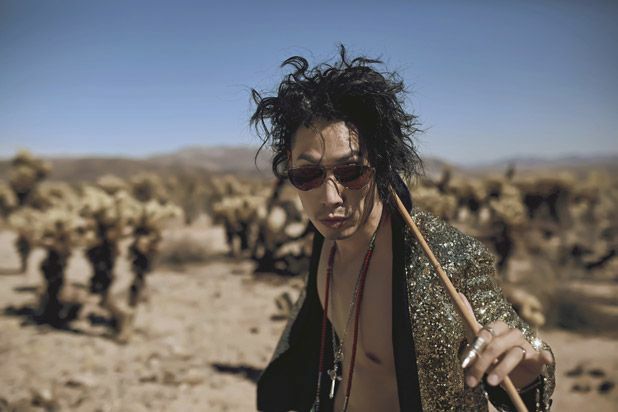 Van Ness and his hair…never a boring moment at least. Wait is ZLY a really president of a company? Or is that for a drama? What kind of company is it? So cool, our badass, adorable, talented, and hardworking girl. 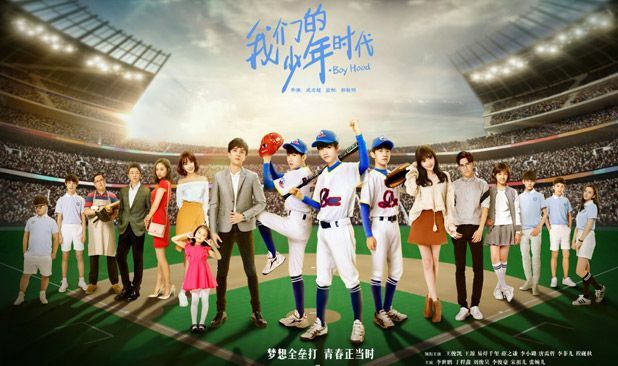 So many dramas, and the ones I’m looking forward to are the weird ones. 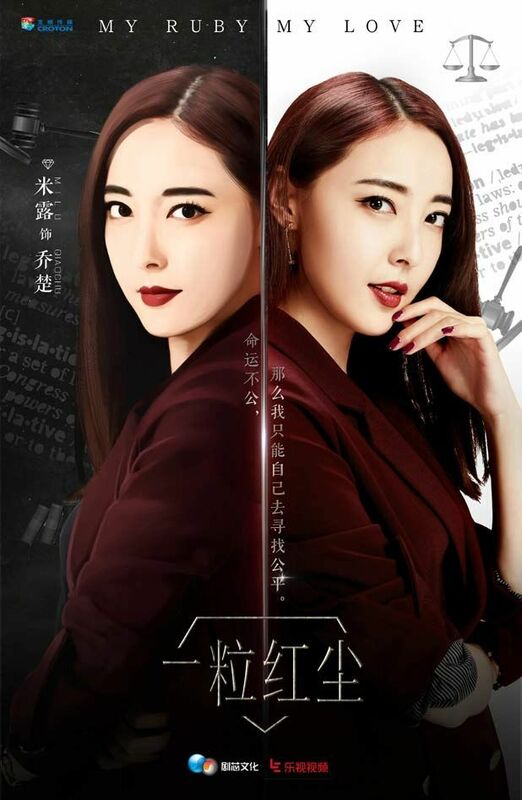 lol The Legend of Ace, (because of Gina, and it looks strange) A Chinese Odyssey: Love of Eternity, (despite not liking the recent movie) This one I’m watching specifically for the pretty girls. If I’m lucky hopefully the series itself will be good. Finally, as always thank you Kap Shifu for the informative post and air dates! LOL. No pants. >.< !! Min&Max reminds of this shoujo manga… Hiyokoi. The reporters can’t wait for ZLY to get married, huh. They are trying to marry her off in all sorts of reports! OOOO!! Manga, is it cute and sweet and super fluffy? I need a fluffy, Tusu! It’s cute… I guess. Lots of people like it. The female lead is your typical as hell shoujo character, haha. Small, kind-hearted, shy, quiet, squeaks and cowers when talked to… likes chicks (as in chicken chick, hence the manga’s title), likes the popular male lead who didn’t like any one until he met the female lead, what a surprising plot, yes yes? roll eyes. lol. Not as fluffy as the plot suggests, for me. I wanna pinch that chibi pipsqueak into oblivion. Haha y does it looks like Godfrey is getting younger? ZLY looks so pretty in her surprise at the back suit and red stilettos. 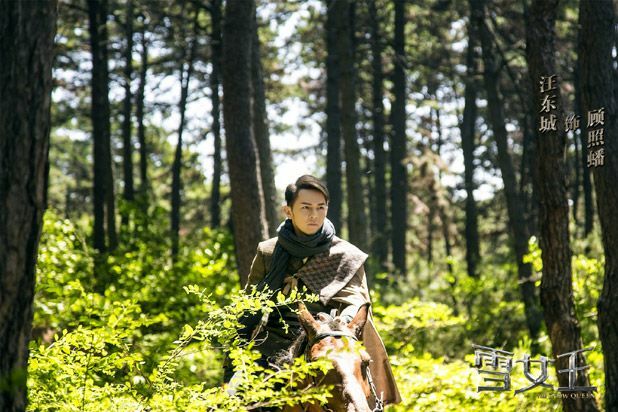 William Chan likes to exude a mischievious bad boy vibe- but over the years i notice he has a great personality. But i dont dig his acting. Godfrey looks so darn handsome. 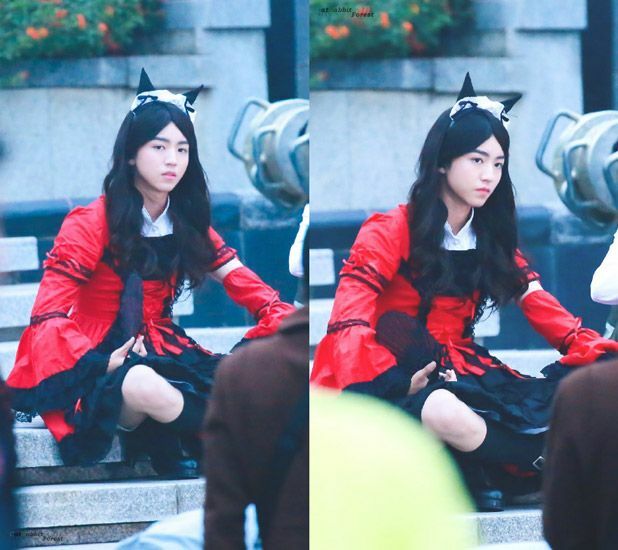 I need him in more dramas. Lol! Really love that suit on ZLY, it really fits her frame. The Snow Queen stills look really well done. Showed this pic to my friend and she said he looks like a perv LOL That hair definitely makes him look way older. ah Kimi…..still sad that you’re not around anymore…. One question though, were the money would be given to? His family?